It would be our delight to have you join us as we study and proclaim the Word of God with and to our community of grace. Men’s Morning Prayer – Tuesdays – 6:15 a.m.
For those parents who would like another option for their children during the sermon we provide a Children’s Church program for children 4 years old through 1st grade. 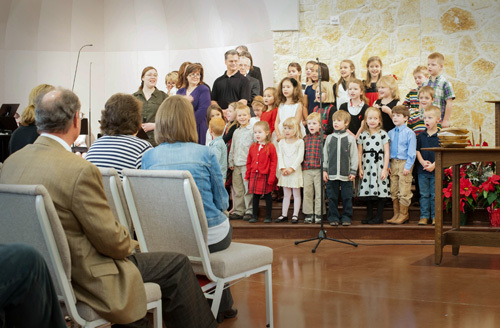 Parents who choose to allow their children to take part in Children’s Church will be invited to dismiss their children at the point in the worship service where the sermon begins. Our pastor writes this lesson and they will be considering the same biblical text as their parents who remain. We want to encourage families to discuss God’s Word after worship and therefore believe it is important for families to be ministered to by the same truths each Lord’s Day. The children will rejoin their parents after the sermon and before the celebration of the Sacrament of the Lord’s Supper so the families can participate in the Sacrament together ¹ . We encourage all parents to buy a copy of Parenting in the Pew. It is a very practical and encouraging read about how to help our children participate in corporate worship. We love our children and want all of them of all ages to be a part of the entire body life of our church. We hope you will join us too! 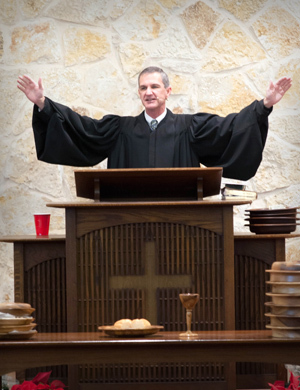 ¹ We encourage all families to come forward together for the Lord’s Supper. However, only children who have made a public profession of faith may participate in the Sacrament. For questions on how your child can participate in the Lord’s Supper, please contact the church or see chapters 56-58 of our Book of Church Order.